Welcome To our website " PROPERTY IN MULLANPUR "
Friends, If you are searching land in mullanpur , property in mullanpur. We are here for help you to find the best land in mullanpur , property in mullanpur. The master plan of Mullanpur Local Planning Area has been approved to develop 6,123.7 hectares of land spread across 33 villages on the outskirts of Chandigarh as Punjab’s first ‘eco-town’. The Masterplan was prepared by experts from Jurong Consultants Private Limited of Singapore. Punjab Regional and Town Planning and Development Board, approved the master plan. 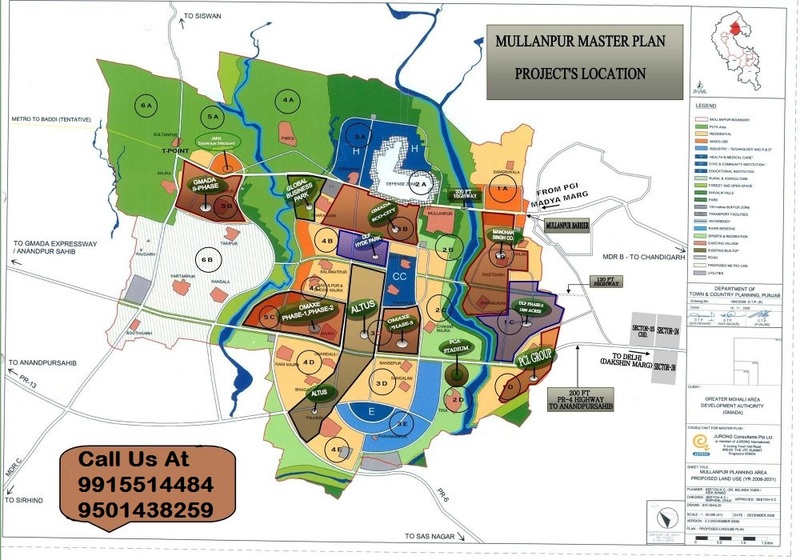 The 'Local Planning Area' (LPA) document of Mullanpur's master plan suggests that 4,000 hectare of buildable area for development of new townships and urban activities are available, which makes large-scale development plausible. According to the plan, the area is going to have a golf course, spa village, turf club with grandstand area for 5,000 horses, lifestyle sports hub, indoor stadium, Eco Park, health village and hi-tech technology park. The state government plans to develop a golf course on 150 hectare. Spa village on one hectare. Turf club on 80-90 hectare. Lifestyle sports hub on 35-50 hectare. Indoor stadium on one hectare. Sports stadium on five hectare, eco-park on 10 hectare with 60-foot-wide approach road. Health village on 10 hectare with 60% area for medical facilities, 30% area for residential and 10% area for commercial use on the pattern of IT park. A state-of-the-art seven-star hotel coming up on 25 acre land, the hotel project outlay is Rs 200 corer.